Barry Potekin is a successful entrepreneur, recognized speaker and alternative investment specialist. 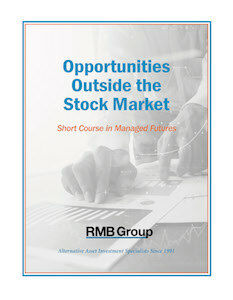 Take advantage of his free offer, Opportunities Outside the Stock Market. 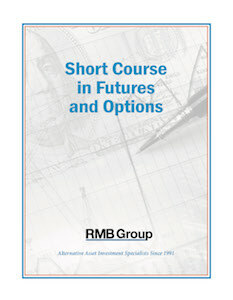 The RMB Short Course in Futures and Options provides a comprehensive overview of the basics and will give you a solid foundation in understanding these critical asset classes. For more information on RMB Group and the resources above, please contact us.